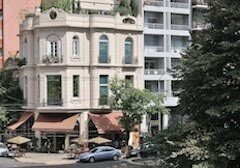 Today’s entry will cover a diversity of items, both in California and the Southern Cone itself. To start with, I will be attending tomorrow’s Bay Area Adventure and Travel Show where, from my point of view, the most intriguing presence is the Falkland Islands Tourist Board (pictured above is Stanley's Jetty Centre, where the FITB greets cruise ship passengers). 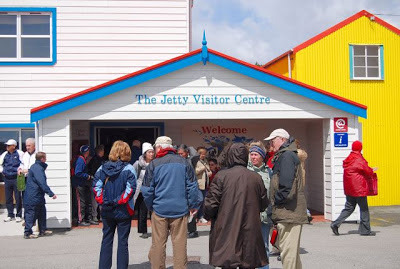 I have yet to meet Tony Mason, the Board’s new general manager, and hope to be able to relay some new insights on the Islands after speaking with him. Tentatively, I will be returning to the Islands later this year or early next, in the course of updating Moon Handbooks Patagonia. Meanwhile, the print and online magazine Patagon Journal is holding its first Patagonia Photo Contest and, looking through the entries, I’ve seen plenty of shots that would entice me to visit the region even if I weren’t already so committed to it. Unfortunately, it’s too late to enter the contest, but readers can still enjoy the gallery at the link above. Categories of photos include nature, environment, culture and travel, and outdoor sports; the first place and runner-up in each category will win a year’s subscription to the magazine, and will have their work displayed at Mall Sport, in the Santiago borough of Las Condes. The first place winners will get gift certificates, and the overall winner gets a three-night stay for two at Puyuhuapi Lodge & Spa, in the Aisén region of Northern Patagonia. Maybe next year, I’ll submit an entry. 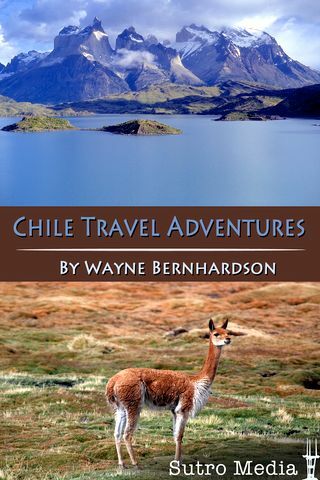 It’s four months away, but at 7 p.m. on Monday, June 17, the Saratoga branch of the Santa Clara County Public Library will host me for a digital slide lecture on Chile, in which I will have copies of the new fourth edition of Moon Handbooks Chile and my other titles for sale as well. There may be other events at the Campbell and Los Altos branches of the library as well, but those are not yet confirmed. Against my better judgment, I have opened a Twitter account, so please feel free to follow me at @southernconetrv. At least it forces me to be succinct. Win This App! Free for the Asking! Soon, as the new edition of Moon Handbooks Chile comes out later this month, I will have a contest to give away some free copies on this blog. 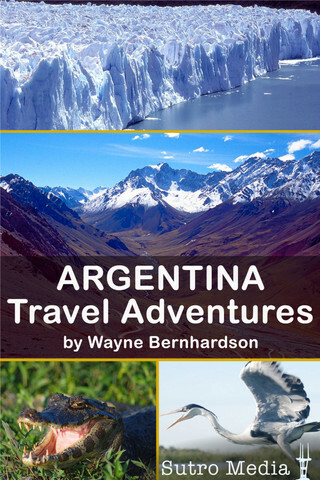 In the meantime, for those of you have an iPhone, iPad or iPod Touch, I still have some remaining free copies of my Argentina Travel Adventures and Chile Travel Adventures apps, with no strings attached. Simply write me at southerncone (at) mac.com, and I will send a code for a free download of either Argentina or Chile, up to a total of ten (no more than one per person, please). For those of you who use Androids, I apologize that Google does not permit such promotions, so you’ll have to shell out US$2.99 (which presumably should not break your budget). Chilean Oscar Faceoff? "No" v. "Kon-Tiki"